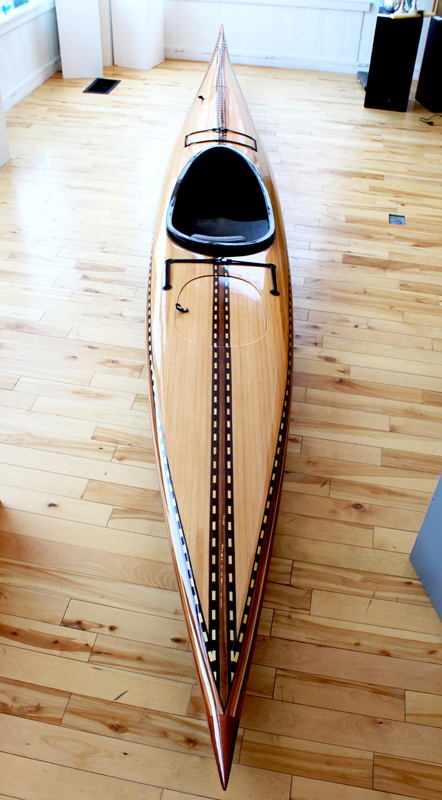 Orca Boats offers you years of experience custom building wooden canoes and wooden kayaks. We believe that every boat we build should exceed the customer’s unique vision for their craft. 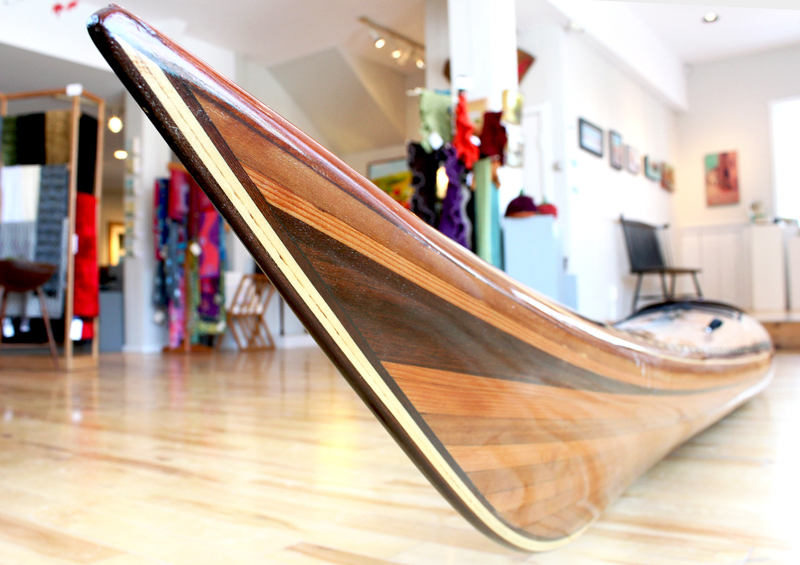 We promise to turn your “Paddling Dreams into Reality”. All Orca Boats (unless specifically requested) are constructed using a “stapleless” strip building method in which only the finest “edge grain” cedar strips and hardwoods are used. Without nails, staples or brads, no residual holes or marks are left on the final product when nails or staples are removed. Each boat begins with individual cedar strips being applied to a custom frame. By using different colors and types of wood, your unique pattern is created. We have created some of the most unique deck designs. Each customer’s features and requirements are taken into consideration throughout the building process and adjustments are made to suit you. The wooden boat is covered in fiberglass cloth and top quality epoxy resin is applied. Resins used are strong, flexible and durable. Each boat is hand finished with a quality marine “spar” varnish, which protects the boat from the harmful ultraviolet rays of the sun. The resident Orcas (Killer Whales) of the west coast of Canada and the Northern States have long been the symbol of freedom, majesty, and legend. Known as skilled hunters, these playful mammals are soon becoming an endangered species with the encroachment of civilization and tourism. To honor these beautiful creatures of our coast, Orca Boats has decided to name all our kayak designs after Orcas that have captured the hearts of British Columbians and the world over. Images shown are representative of the artist. Please contact the gallery for availability.